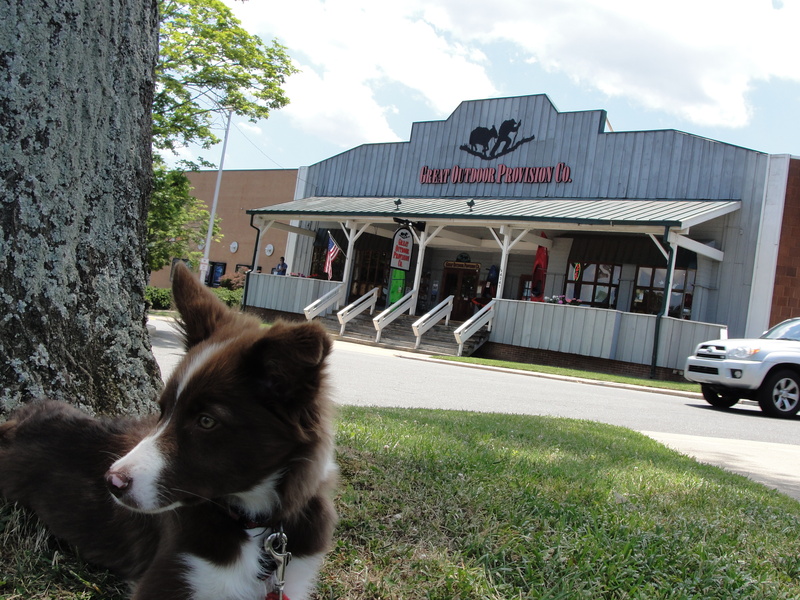 Phenom and I made a trip to the Great Outdoor Provision Company this weekend. 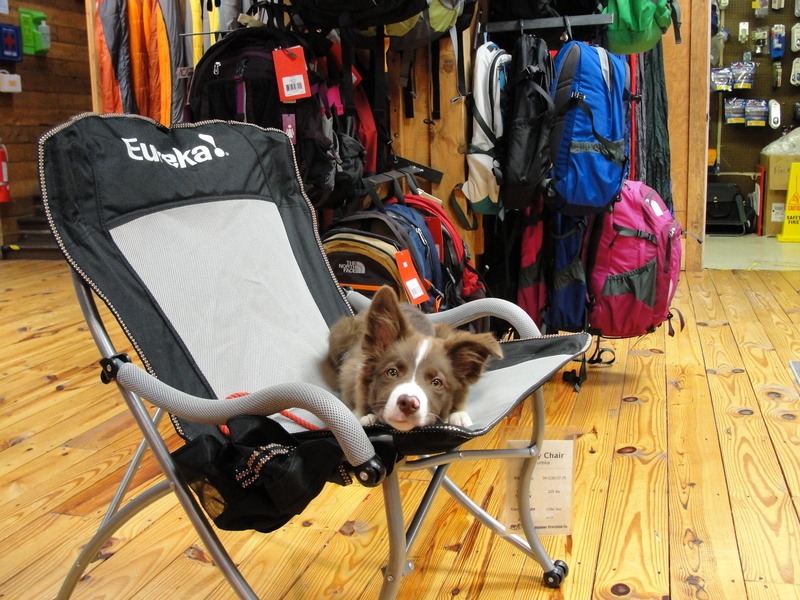 I found out on Friday that they allow dogs, so we did some browsing today. Right away – she made herself at home. 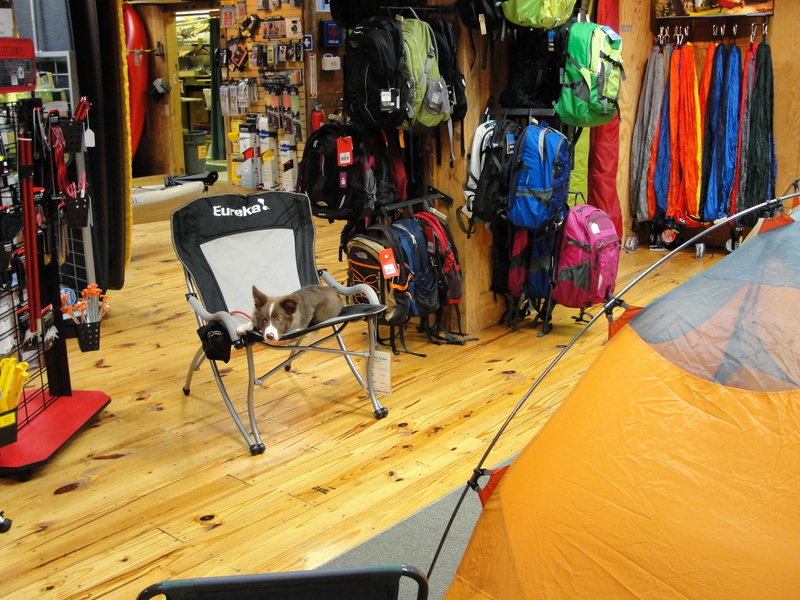 Then she tried a little camping – indoors! 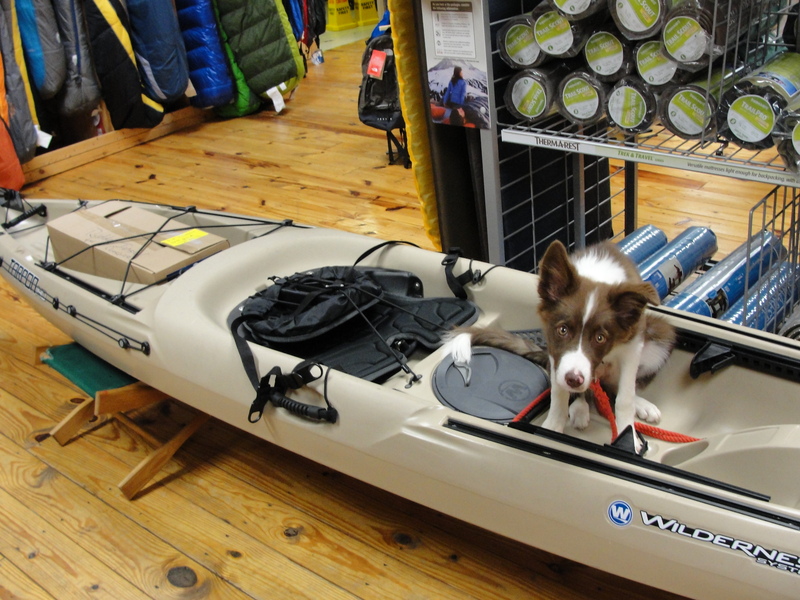 And even tested out a kayak. She’s enjoying our adventures. Me too. Thanks so much Clare! Hope she can meet you sometime soon.